When I make BPC, I make it with regular coffee. I finally found the Bulletproof brand of coffee which is supposed to be better quality, but I haven’t tried it yet. I just know that a one pound sack is about $12, and my regular coffee only runs about $6 for twice that much. I use the Kerrygold grass fed butter, a splash of organic heavy cream, some Pyure Stevia sweetner, and a few spoonfuls of Bulletproof Brain Octane Oil. It’s the brain octane oil that really does it for me. I’ve drank the coffee without the oil, and I just don’t have the mental clarity, and a feeling of being full all morning. In short, I love my BPC in the morning. It only takes a few minutes to blend it up into frothy creaminess. Recently I was at a wedding fair, advertising my photography to potential bridal customers, and there was a table at the fair advertising KETO products! So you know I had to go talk to them. 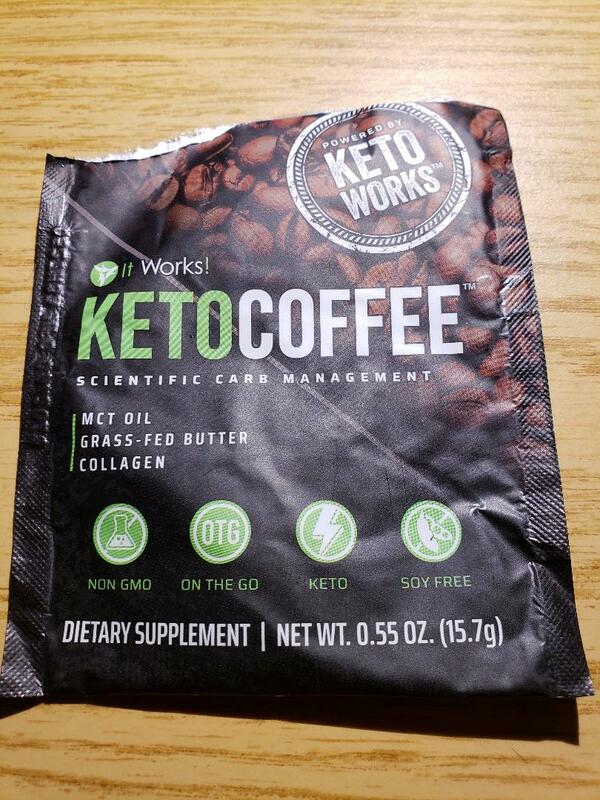 One of their products was called KETOCOFFEE by a company called ItWorks! She described the product, and told me that it would save time in the morning, since all you do is add hot water to the packet. Instant Bulletproof Coffee?? 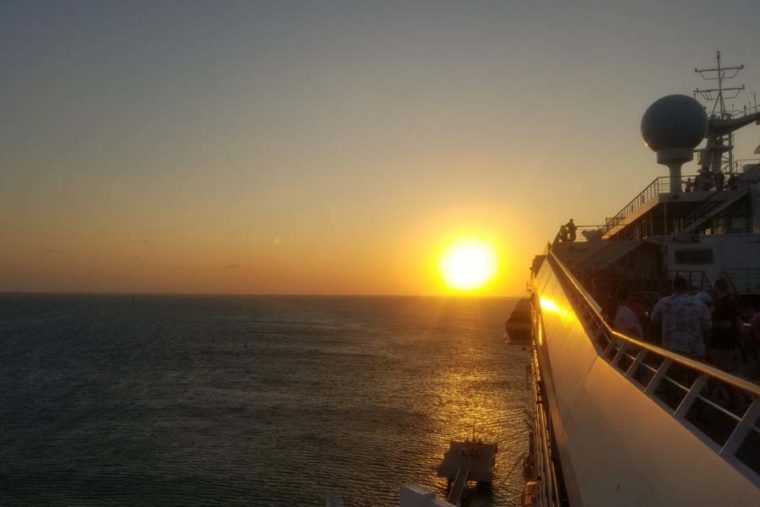 That sounded cool. She started talking to me about price, and saying that if I buy some, I could become a distributor… and buy it at a discount. This is where she really lost me because my natural reaction to multi level marketing is to run away. She told me that she had a sample packet that I could try. I smiled and said I’d love to try it. If you check the link above, you’ll see the discounted price for 60 single serve packets is $117. So each packet retails for around $2 bucks. This morning, instead of making a pot of coffee and blending it into BPC, I decided to try my sample packet of KETOCOFFEE. Hmm…. My overall impression is less than happy. On the taste scale I’d score it a 5 (out of 10) since it didn’t have much flavor, and none of the creamy frothiness that I normally have. The ingredients say it has grass-fed butter powder, collagen peptide, xanthan gum, silicon dioxide, and Himalayan Pink salt. Taste at a 5, and chemical score is a 2. It is convenient and fast, so give it a 9 on that. Price is a little high. All things considered, I wouldn’t buy this.